Mexico's economy minister Ildefonso Guajardo said the idea was to "do the handshake" this year to allow enough time to sign the deal before the end of 2018. MEXICO CITY -- Mexico's economy minister sees a 60 per cent probability that talks starting next week to renegotiate the North American Free Trade Agreement will be wrapped up by a soft deadline for the end of the year. Ildefonso Guajardo, who will take part in the first round of NAFTA talks in Washington starting on Aug. 16, said in an interview on Tuesday that it was important to meet the ambitious timeline to sign a new deal before Mexico's next president takes office at the end of 2018. Renegotiation, or the ditching, of NAFTA was a key campaign promise of U.S. President Donald Trump, who frequently called the 23-year-old trade pact a "disaster" that has drained U.S. factories and well-paid manufacturing jobs to Mexico. 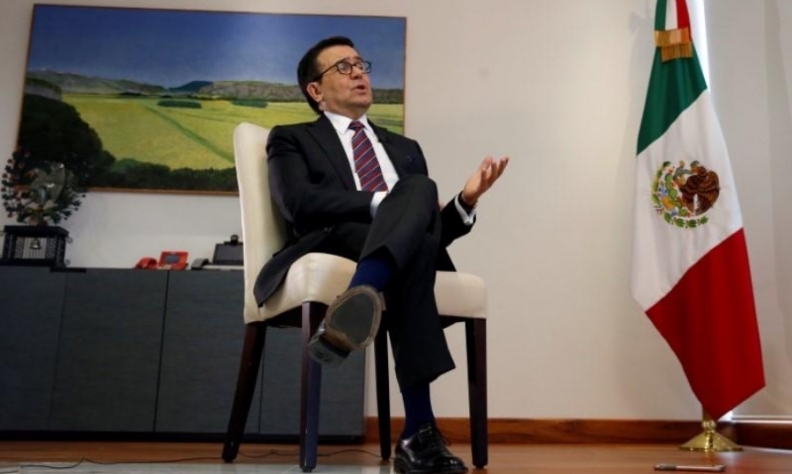 "I will assign a 60 per cent probability that we will be able to conclude this process on time," Guajardo said in an interview for the Reuters Latin America Investment Summit. Reuters reported in July that Mexico, Canada and the United States wanted to conclude the talks before Mexico's presidential electoral campaign begins in earnest next year and before the U.S. mid-term elections later in 2018. Guajardo said the idea was to "do the handshake" this year to allow enough time to sign the deal before the end of 2018. "If we continue negotiations [longer] they will be part of the debate in the campaign. And you know how it is, when you politicize things, it is not the best ingredient to get things done." He said Mexico would make all possible efforts to meet the goal, but that there was no certainty they would, referring to a possible 45 negotiating days over up to nine rounds before December. “[It] depends on how creative and flexible the parties in this negotiation are going to be. If you come in with the view that you have to get your way as the only way, well obviously it is going to take ... years," said the economist, who had a role in the original NAFTA negotiations in the early 1990s. In response to the U.S. position that NAFTA's main dispute resolution chapter should be ditched, Guajardo, 60, said it was important for investors that the agreement included such mechanisms, but said he could not say what form they would take after the negotiation. The United States says the Chapter 19 mechanism has hindered it from pursuing anti-dumping and anti-subsidy cases against Mexican and Canadian firms. Canada has said it believes the mechanism must be kept as part of the NAFTA update. To hedge against the possibility that the negotiations have a negative result, Guajardo said, Mexico is pushing ahead with "very ambitious" trade talks with Brazil and Argentina, and aims to have them concluded by the end of the year. While not negotiating a full blown trade deal, he said the talks included the thorny subject of Mexican car exports to Brazil, as well as opening the Mexican market to grains from the South American nations. "In itself, this is a very clear message that we are looking for alternative sources for unforeseen scenarios," he said.